Alia Bhatt and Varun Dhawan are all set to reunite once again and these new stills from Badrinath Ki Dulhania prove that it’s going to be amazing. ‘Badrinath Ki Dulhania’ is a sequel to ‘Humpty Sharma Ki Dulhania’ released in 2014. While the first installment was set up in Punjab and Delhi, this part is more of a UP and Rajasthan affair. 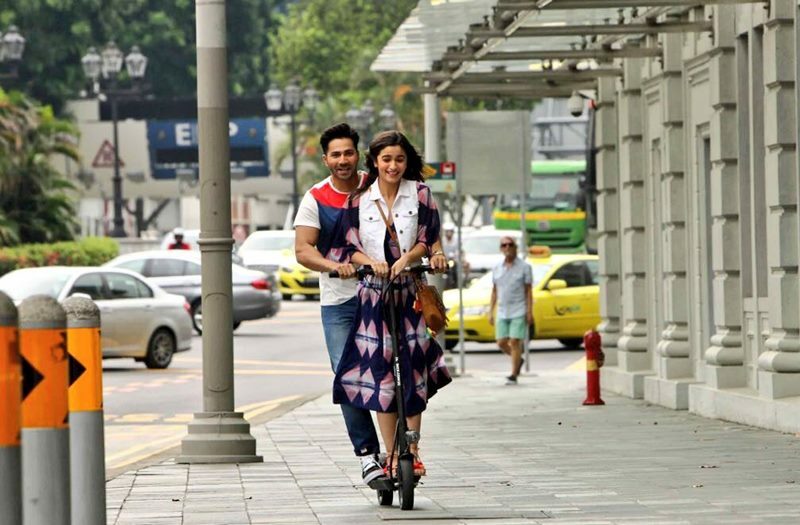 The leads Alia Bhatt and Varun Dhawan recently wrapped up their Singapore schedule and here are some brand new stills from Badrinath Ki Dulhania.